Michael J. Culp was born in Appleton, Wisconsin, in 1961. He grew up in Madison, Wisconsin, where he attended the University of Wisconsin-Madison and earned his Bachelor's Degree in Sociology and Criminal Justice in 1983. He then moved to Des Moines, Iowa. He attended Drake University Law School, earning his Juris Doctorate Degree in 1987. While there, Mr. Culp was awarded the Dean's Service Award as Honor Board Chief Justice, and the Presidential Award for Outstanding Service to the Law School. Mr. Culp has practiced law for 31 years. He practices in criminal law and personal injury law. 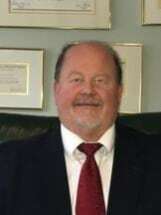 Mr. Culp is a member of the Iowa State Bar Association, the American Trial Lawyers Association, the American Bar Association, and is on the Board of Directors of the Iowa Association of Criminal Defense Lawyers.